Around the first century AD there were several small Jewish sects: the Pharisees, Sadducees, Zealots, Essenes, and Christians. After the destruction of the Second Temple in 70 AD, these sects vanished. Christianity survived, but by breaking with Judaism, and becoming a separate religion. The Pharisees survived but in the form of Rabbinic Judaism (today, known simply as "Judaism"). The Sadducees rejected the divine inspiration of the Prophets and the Writings, relying only on the Torah as divinely inspired. Consequently, a number of other core tenets of the Pharisees' belief system (which became the basis for modern Judaism), were also dismissed by the Sadducees. Like the Sadducees who relied only on the Torah, some Jews in the 8th and 9th centuries rejected the authority and divine inspiration of the Oral Law as recorded in the Mishnah (and developed by later rabbis in the two Talmuds), relying instead only upon the Tanakh. These included the Isunians, the Yudganites, the Malikites, and others. They soon developed oral traditions of their own, which differed from the rabbinic traditions, and eventually formed the Karaite sect. Karaites exist in small numbers today, mostly living in Israel. 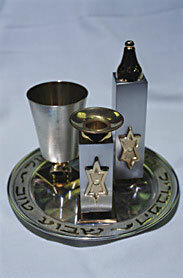 Rabbinical and Karaite Jews each hold that the others are Jews, but that the other faith is erroneous. Over time Jews developed into distinct ethnic groups — amongst others, the Ashkenazi Jews (of central and Eastern Europe), the Sephardi Jews (of Spain, Portugal, and North Africa), the Beta Israel of Ethiopia and the Yemenite Jews, from the southern tip of the Arabian Peninsula. This split is cultural, and is not based on any doctrinal dispute, although the distance did result in minor differences in practice and prayers. 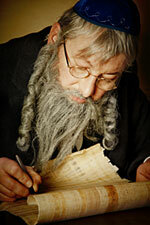 Hasidic Judaism was founded by Yisroel ben Eliezer (1700-1760), also known as the Ba'al Shem Tov (or Besht). It originated in a time of persecution of the Jewish people, when European Jews had turned inward to Talmud study. Many felt that most expressions of Jewish life had become too "academic", and that they no longer had any emphasis on spirituality or joy. His disciples attracted many followers; they themselves established numerous Hasidic sects across Europe. Hasidic Judaism eventually became the way of life for many Jews in Europe. Waves of Jewish immigration in the 1880s carried it to the United States. Early on, there was a serious schism between Hasidic and non-Hasidic Jews. European Jews who rejected the Hasidic movement were dubbed by the Hasidim as Misnagdim, ("opponents"). Some of the reasons for the rejection of Hasidic Judaism were the overwhelming exuberance of Hasidic worship, its untraditional ascriptions of infallibility and alleged miracle-working to their leaders, and the concern that it might become a messianic sect. Since then differences between the Hasidim and their opponents have slowly diminished and both groups are now considered part of Haredi Judaism. In the late 18th century AD, Europe was swept by a group of intellectual, social and political movements known as the Enlightenment. The Enlightenment led to reductions in the European laws that prohibited Jews to interact with the wider secular world; thus, allowing Jews access to secular education and experience. A parallel Jewish movement, Haskalah or the "Jewish Enlightenment," began, especially in Central Europe, in response to both the Enlightenment and these new freedoms. 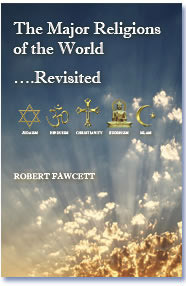 It placed an emphasis on integration with secular society and a pursuit of non-religious knowledge such as reason. A number of smaller groups came into being as well. Judaism has spread to all corners of the world. In most industrialized nations with modern economies, such as the United States, Israel, Canada, United Kingdom, Argentina, and South Africa, a wide variety of Jewish practices exist, along with a growing plurality of secular and non-practicing Jews. For example, according to the 2001 edition of the National Jewish Population Survey, in the United States' Jewish community-the world's second largest — 4.3 million Jews out of 5.1 million had some sort of connection to the religion. Of that population of connected Jews, 80% participated in some sort of Jewish religious observance, but only 48% belonged to a synagogue. Since American Jews are marrying later in life, and are having fewer children, the birth rate for American Jews has dropped from over 2.0 to 1.7 (the replacement rate is 2.1). (source: This is My Beloved, This is My Friend: A Rabbinic Letter on Intimate Relations, p. 27, Elliot N. Dorff, The Rabbinical Assembly, 1996). Intermarriage rates range from 40-50% in the US, and only about a third of children of intermarried couples are raised as Jews. 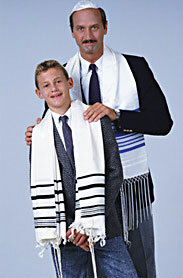 Due to intermarriage and low birth rates, the Jewish population in the US shrank from 5.5 million in 1990 to 5.1 million in 2001. This is indicative of the general population trends among the Jewish community in the Diaspora (the dispersion of Jews throughout the world), but a focus on total population obscures growth trends in some denominations and communities, such as Haredi Judaism.